It looks like Dosbarth Oren had some very special visitors over the weekend....Santa's Elves! They visited our classroom on Sunday night to set up our classroom ready for Christmas. 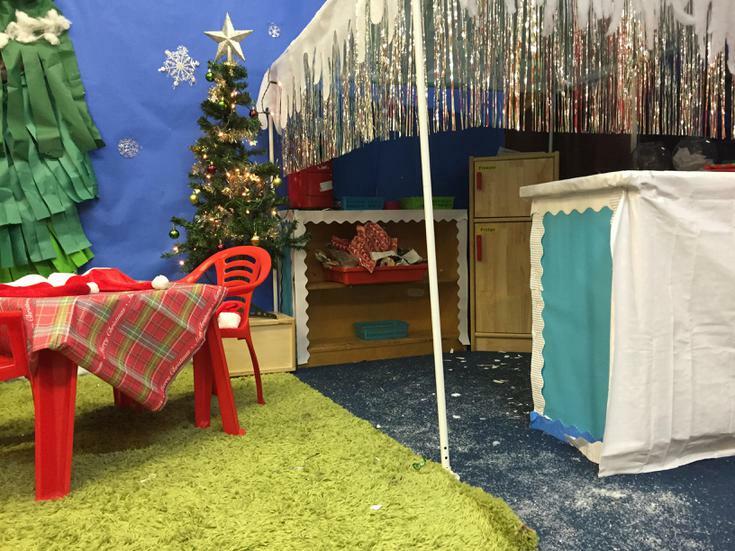 The Elves must have worked very hard to change our role play into an Elves home and factory. The children will have lots of fun cooking yummy Christmas treats, hanging up their stockings and wrapping presents to put under our tree. We can't wait to see what else the Elves get up to! It looks like Santa's Elves have been sneaking around our classroom! Cheeky Elves!